2 Beds 2 Baths 1,520 Sq. ft. Updated S P A C I O U S ground floor condo situated right on a pond with golf course views as well. 55+ community with one small pet allowed. One assigned carport right out front with tandem parking allowed and separate guest parking is available. Luxury waterproof vinyl plank flooring installed throughout most of condo. Stunning recycled glass counter tops in white, blue & silver complement the one year old LG stainless appliances. Gorgeous soft close cabinets and drawers in platinum tone, with a reflective, easy-clean surface complete the look of this kitchen. Brand new A/C system installed March 2019. Florida Room and Dining area next to the full glass back wall of the unit overlooking the pond and golf course. Open pond and golf course views are also available from every part of the common area of this condo. It's like a full width picture window giving colorful sunsets views every evening. The large utility/laundry room doubles as a kitchen pantry. Washer and dryer will convey with the sale. Another large storage closet in accessed from the hallway. HUGE master closet. Updated electrical panel. Condo fee covers water, trash, insurance, basic cable TV, exterior maintenance, reserves, and small land lease for the community pool and clubhouse. 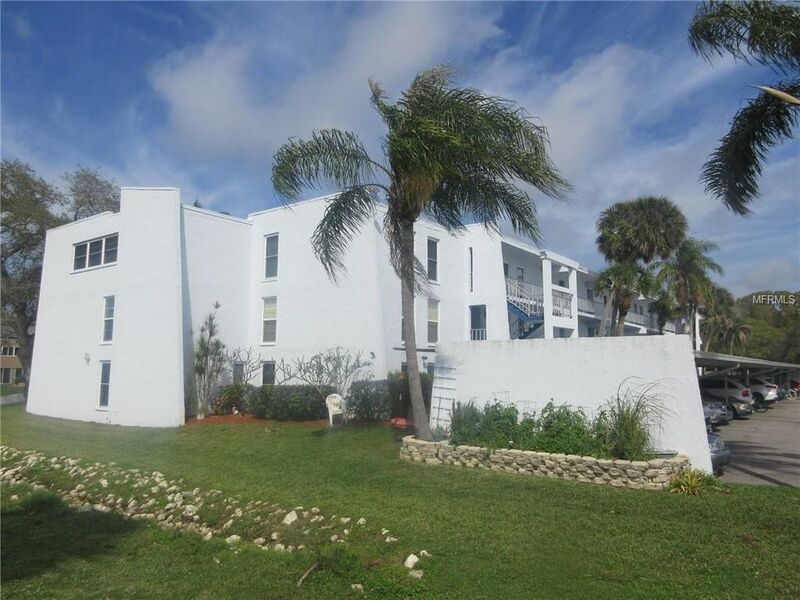 Great Largo location with easy access to shopping, and world famous beaches. Directions: West Bay to Country Club Drive then turn left when you see the sign for Penthouse Greens. Go to the third building (C) and park in guest parking area then walk to the last exterior hallway in the C Building.